A rancher in the south Cariboo was concerned that West Fraser Mills Ltd. did not mitigate impacts to a natural range barrier when it harvested mountain pine beetle-killed stands on the ranchers’ Crown range tenure. 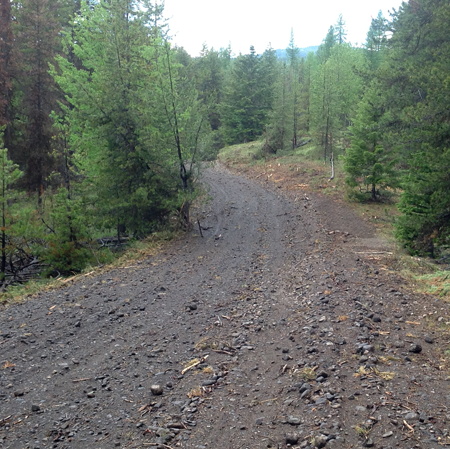 The Forest and Range Practices Act requires forest licensees to propose and carry-out measures to mitigate loss or impacts to natural range barriers on Crown range tenures. In this case, substantial harvesting occurred across the tenure by multiple licensees. Impacts to some range barriers were mitigated but the parties disagreed on whether one natural range barrier had been impacted by harvesting. The investigation examined whether West Fraser complied with the measures in its forest stewardship plan and whether any licensees or government considered the cumulative effect of salvage harvesting of mountain pine beetle-killed stands by multiple licensees on natural range barriers across this range tenure.